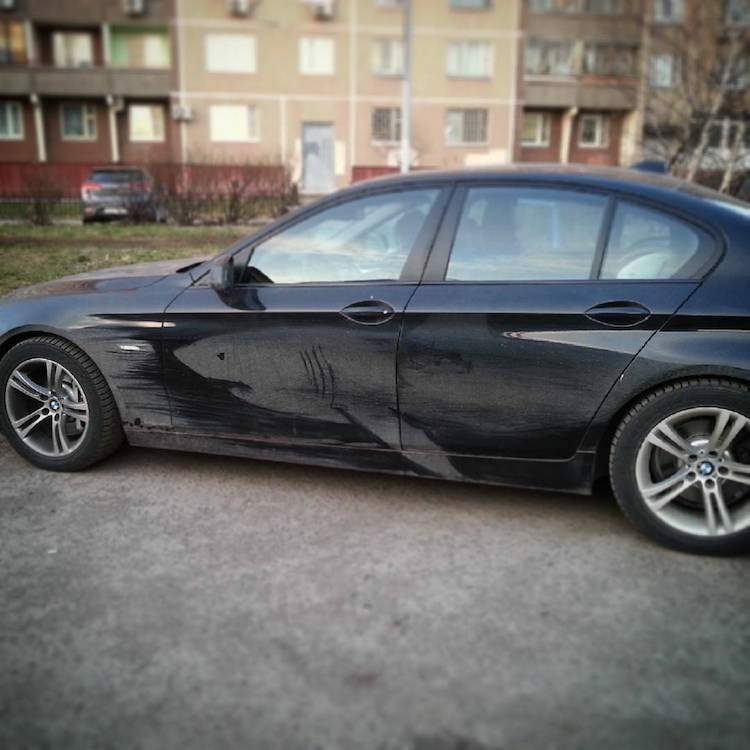 No word yet on how the drivers feel about someone drawing on their dirty cars and potentially scratching them, but some of them are so good that I have a feeling Nikita’s art makes owners postpone washing them at least until the first rain. 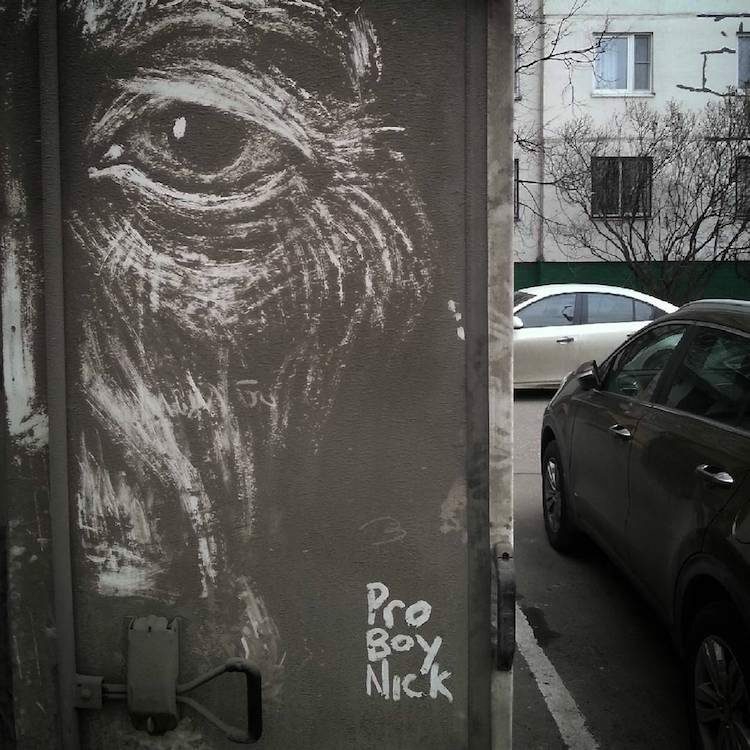 In fact, some of the short videos posted by ProBoyNick on his Instagram show the vehicles with the engine running or with the owners inside, so either they’re really good friends of his, or they appreciate his work. 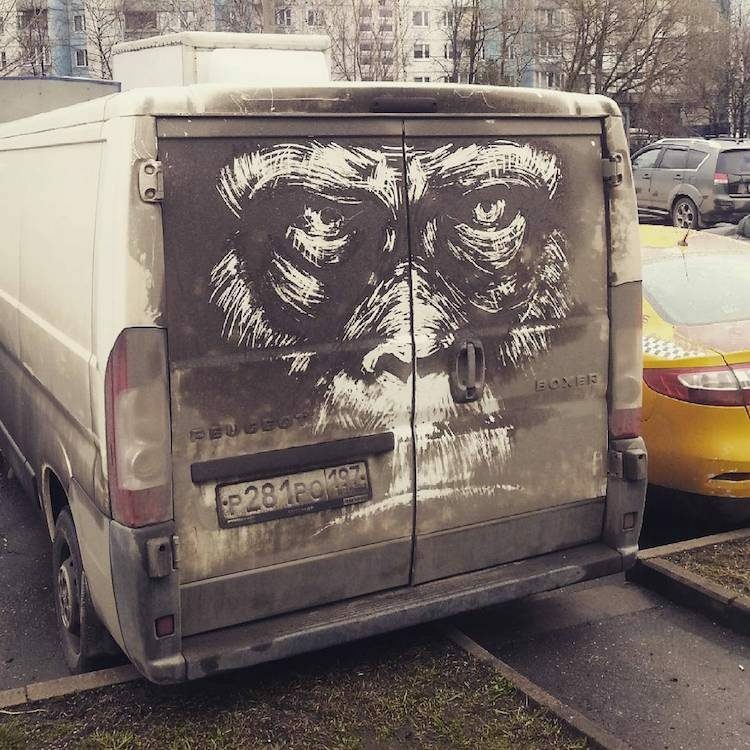 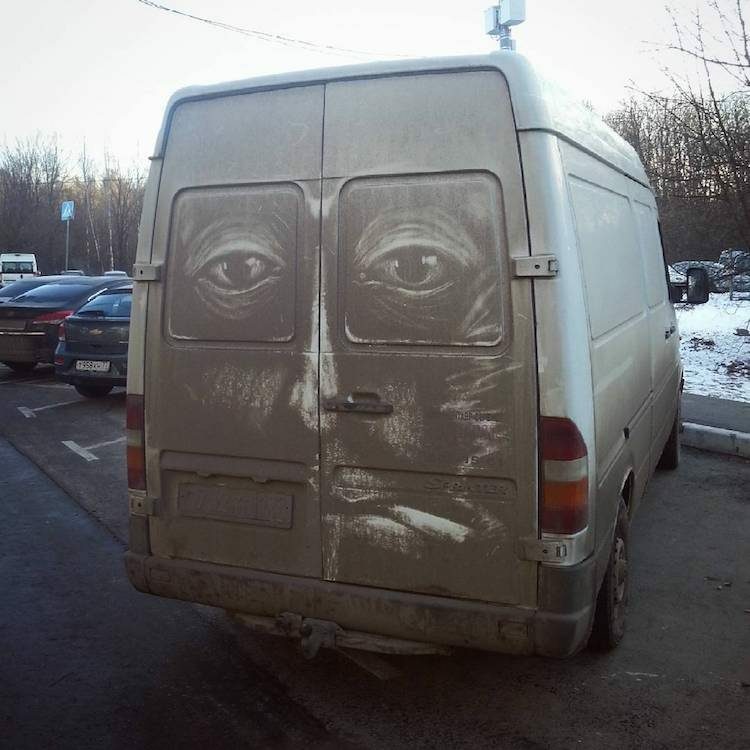 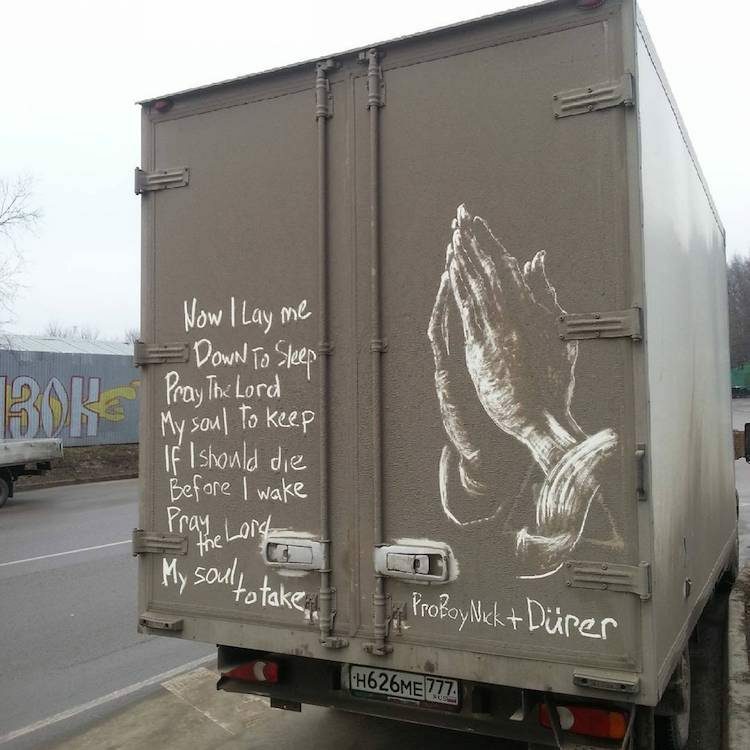 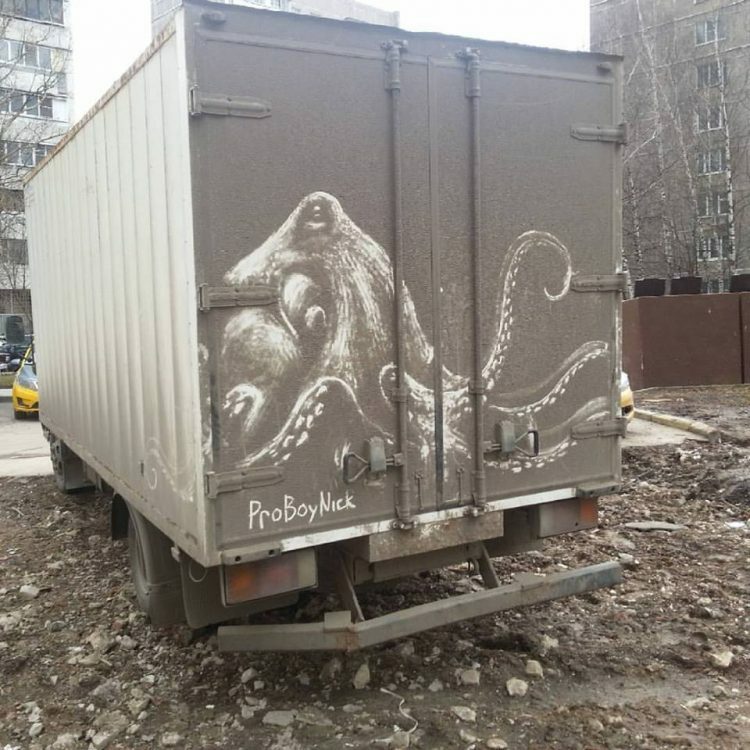 You can follow Nikita Golubev’s dirty car series on his Instagram and Facebook page. 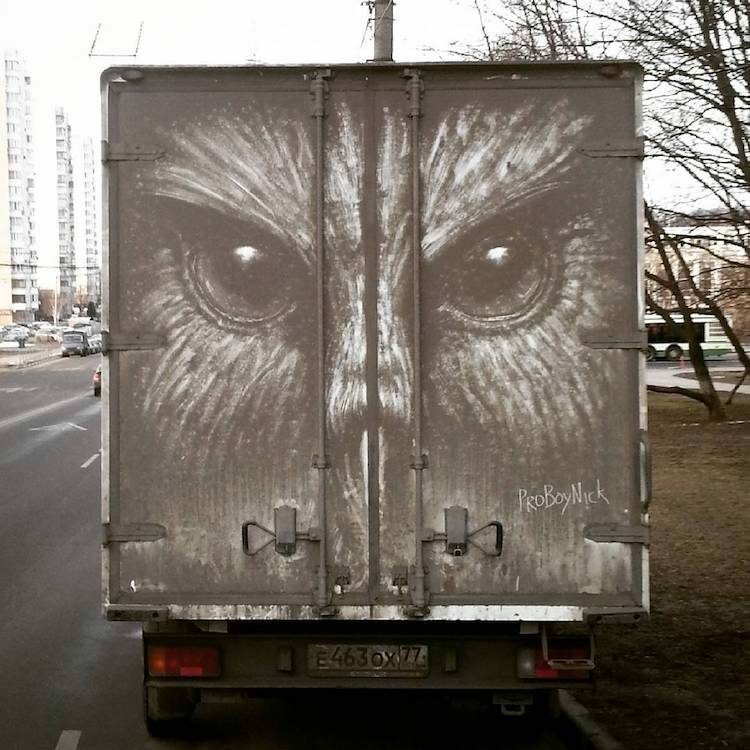 He hasn’t posted a video of him actually creating these fascinating artworks, but he promised to share one soon. 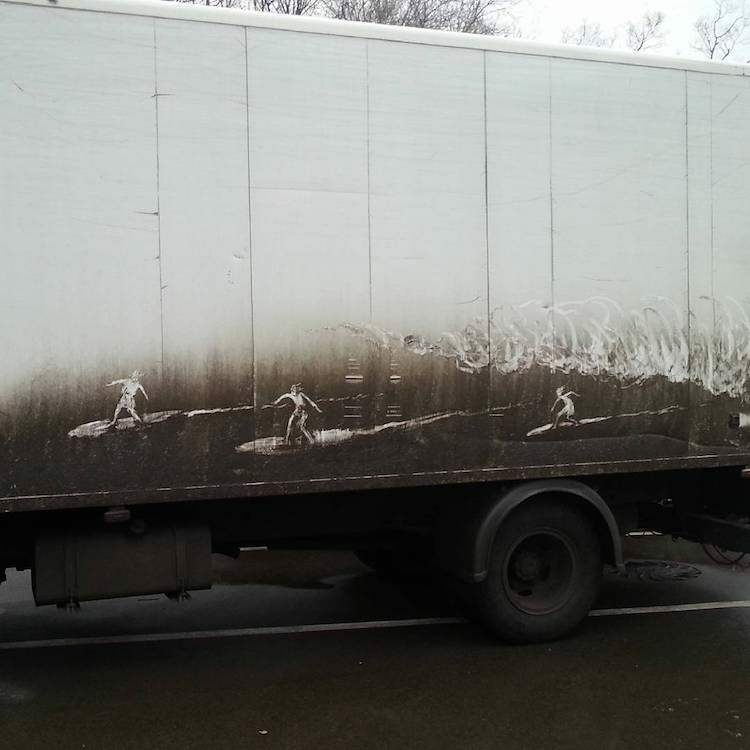 Here at OC, we love dirty car art, so much so that we’ve dedicated several posts to it in the past. 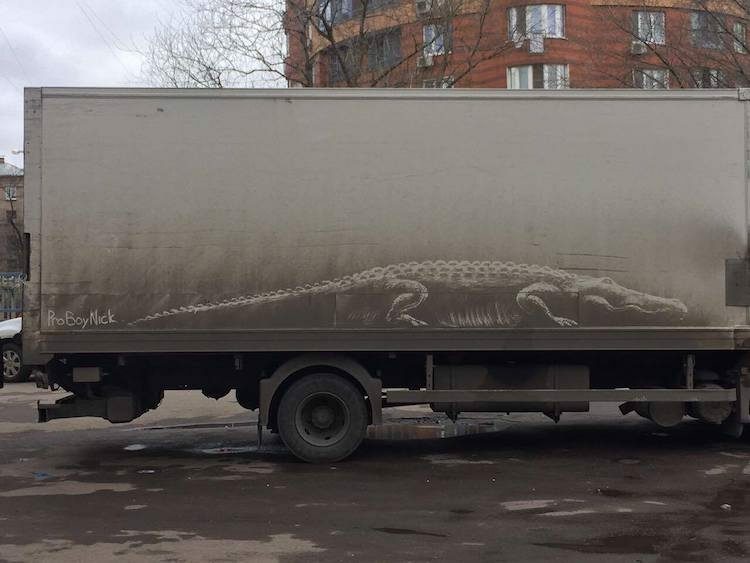 You can check out the intricate dirty car window drawings of Scott Wade, these intricate landscapes created by a talented parking attendant in Azerbaijan, or the “Graffilthy Art” of English artist Rick Minns.